Seniors, please visit the senior page for urgent and important information concerning graduation requirements. This is time sensitive information! View the senior page here. Grassfield High School is proud to support the many military families that move into the division! 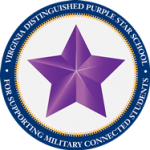 We are have obtained the Purple Star designation by the Virginia Department of Education. As part of the efforts to best support our military families, we have developed a webpage with useful information and links to help support transitioning military students and their families. We hope you will visit our Grassfield High School Military Family page for more information. Please feel free to visit our Chesapeake Public Schools Military Family Resource site. Chesapeake Public Schools is happy to announce the availability of Office 365 Pro Plus at no charge to all Chesapeake Public School (CPS) students for use on personal computer equipment. The licensing allows the installation of the software on up to five compatible PC and/or MAC computers. In addition, a simplified version of the software may be installed on up to five tablet/mobile devices. The license will remain active as long as the division maintains this agreement and as long as you are a CPS student. Once the student withdraws from the division, they are no longer legally licensed to use the software. For additional information, please view the CPS information page for more details. 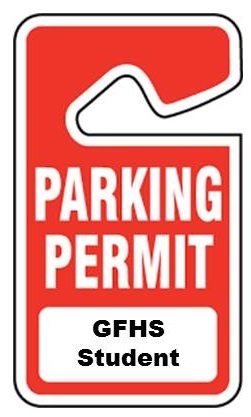 Parking permits will be sold for $20.00 (CASH ONLY) and will ONLY be sold to seniors and juniors. Sophomores are NOT eligible to obtain a parking permit. 3. 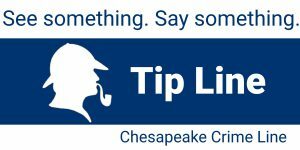 Bring a valid Virginia driver’s license to the Grassfield High School on Wednesdays. ScholarshipVUE is up and running, check it out today! Please use the above link to access to our city wide scholarship database. Check it frequently for new scholarship opportunities that become available. Keep checking for updated links to new applications! Please see the latest Synergy Newsletter for important information at GFHS.